Locksmith Boston - #1 In Speed! Say hello to the most dependable Boston locksmith company. At Bursky Locksmith – fast 24 hour, our reputation as your most reliable choice in safe and secure services speaks for itself. With over a decade as a Boston locksmith in business, we are proud to be the honest people you call for superior locksmith Boston services. Our technicians arrive on the scene in a fully loaded van, ready to serve you quickly and efficiently. From the minute you call, we are on the move with a rapid 20-minute response or less. Locksmith Boston wants you to get on with your day. We are the ones you can fully trust with your private property in our hands. Call us now! #1 in speed! No matter what your needs for professional locksmith service in Boston, MA, call Bursky Locksmith – fast 24-hour locksmith service to get the job done fast. No matter the time, day or night, we have your needs completely covered. We are your top choice Boston locksmith for auto, residential and commercial locksmith services. Car key trouble? Don’t wait. Call our 24-hour locksmith service now and a certified pro from our car locksmith department will be dispatched in record time to help you out of a jam. Need assistance in the middle of the night? No problem. We are a 24-hour locksmith service that recognizes any emergency to be of importance and doesn’t rest until you are taken care of. We are your car locksmith Boston shop, and we’re proud to offer a wide range of auto locksmith services for those unexpected moments and life changes. We respond quickly to vehicle lockouts, so don’t hesitate to call us the minute you find yourself in jam. We will get you back on the road in a flash and can make you replacement car keys in record time. Whether you need a new ignition key, a new transponder key, or a new key fob, locksmith Boston, MA is your one stop car locksmith shop. Call us the next time you are locked out or need a new copy vehicle key. Emergencies happen. And they usually don’t happen at the best times. When the unexpected occurs, you need to rely on professionals you can trust. That’s where we come in. If you are experiencing an emergency lockout, call us right away and breathe a sigh of relief. We are here to help. Are you locked out of your car? 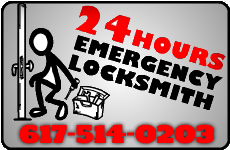 Do you need a 24-hour emergency locksmith? Don’t wait any longer. We are your 24-hour Emergency Locksmith for all types of cars that never sleeps. We’ll be by your side in no time to see you on your way. Whatever lock or key situation arises in your home, your car or your business, call our Boston locksmith 24-hour emergency locksmith hotline now for speedy assistance. We are proud to offer the best locksmith residential services in Boston, MA. We are your first call in the event of a home lockout and provide re-key lock assistance when needed. Our residential services for door locks are top of the line. Locksmith Boston is happy to provide residential services for all types of hardware installations and repairs to get you feeling secure in your home. Call us for any and all your commercial locksmith service needs. We will come to your rescue day or night in the case of a building lockout. Make sure your business is protected. Locksmith Boston installs commercial door locks, provide the strongest security lock options for upgrades and can copy building keys. 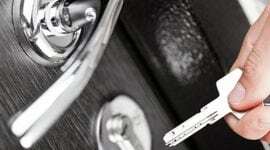 We are well known for offering nothing but the best commercial locksmith service to our clients. "Our locksmiths are at your service 24 hours a day, 365 days a year!"